New HTC One 2014 Hands-On Video Released on the Webs! Hah! And we thought we have had enough of the All New HTC One leaks? Evidently, not! Following the release of the heavily guarded of all times, the Samsung Galaxy S5, HTC One is perhaps aiming for the most leaked device of the history? At least it seems so. – Recommended: All New HTC One: Curvier Edges, Metal Body, Two Rear Cameras, Hands-On Video & Specs List! After following the leaks of almost every part of HTC One 2014, here is an HTC One 2014 hands on video that has just hit the webs (it is not the 12-mins video we had shared earlier – that one has been taken off of YouTube). We have already learnt about its curvier body, two rear cameras, and even the wallpapers that HTC One 2014 will sport having Sense 6 UI. The video is recorded in a bit dark room so the footage isn’t very high quality. However, we do get to see it. This HTC One 2014 video shows an HTC One M8 32 GB model. We are shown both the SIM and the microSD cards of the all new HTC One. This hands-on video aims to give us a complete tour of the smartphone. 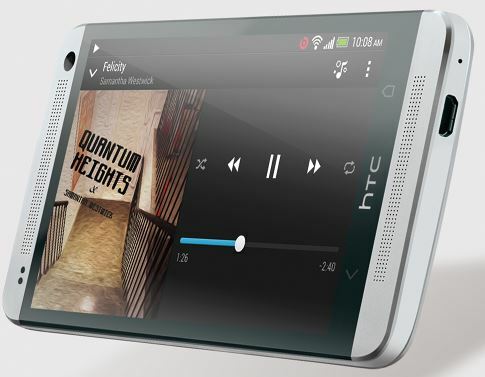 The All New HTC One will be launched on March 25 in two simultaneous events. The device will be available in five color options (silver, gray, blue, red, and gold) and will sport an aluminum unibody. HTC’s One M9 Sales Suffer; Snapdragon 810 To Blame?